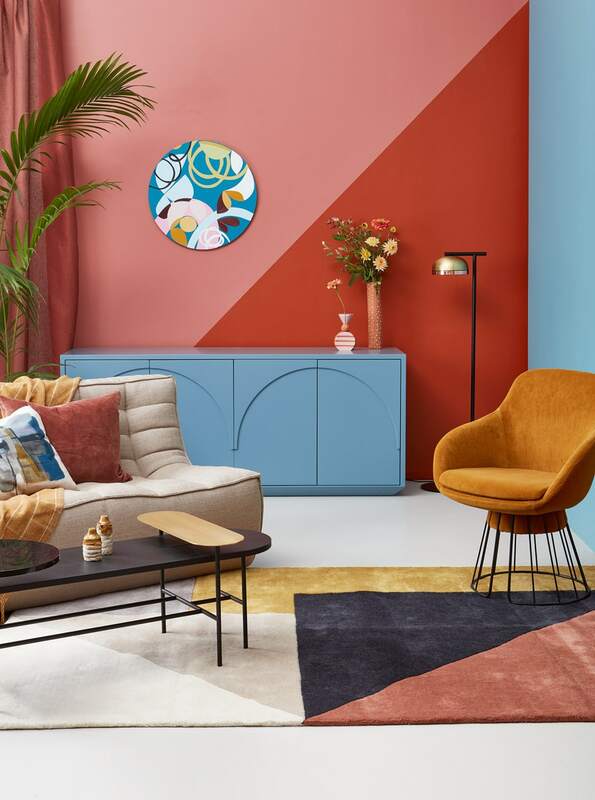 Simplifying the art of combining paint colours, two stylists break out their brushes to share their take on how to live your best life with the Dulux® Colours of New Zealand® collection. 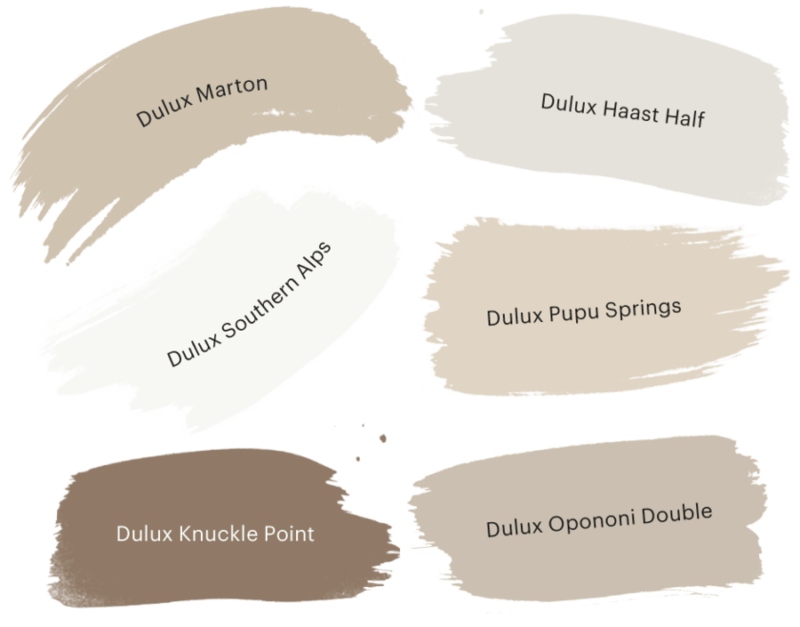 This Dulux colour palette provides a warm, soothing starting point for a calm, sophisticated sanctuary. 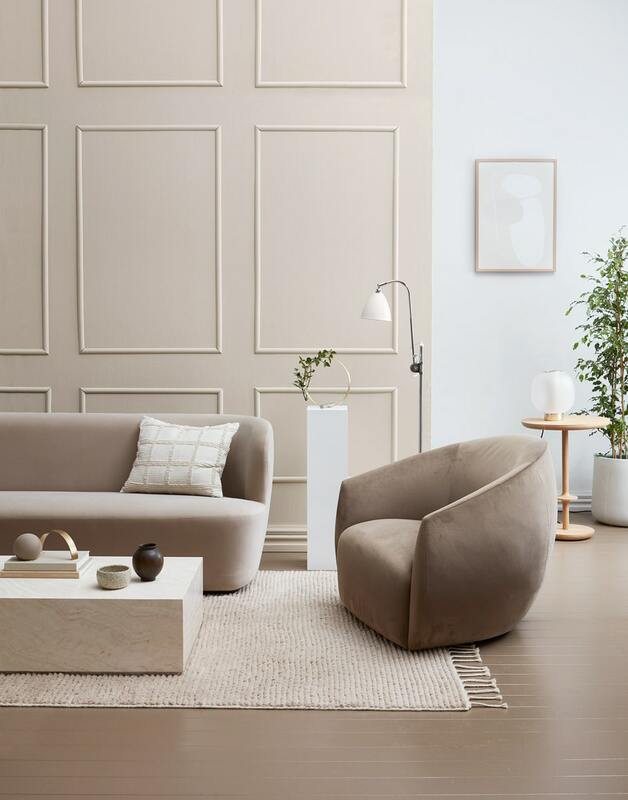 The neutral hues are carried through to the sofa and chair, the soft curves and velvet of which lend a luxe feel to the space. 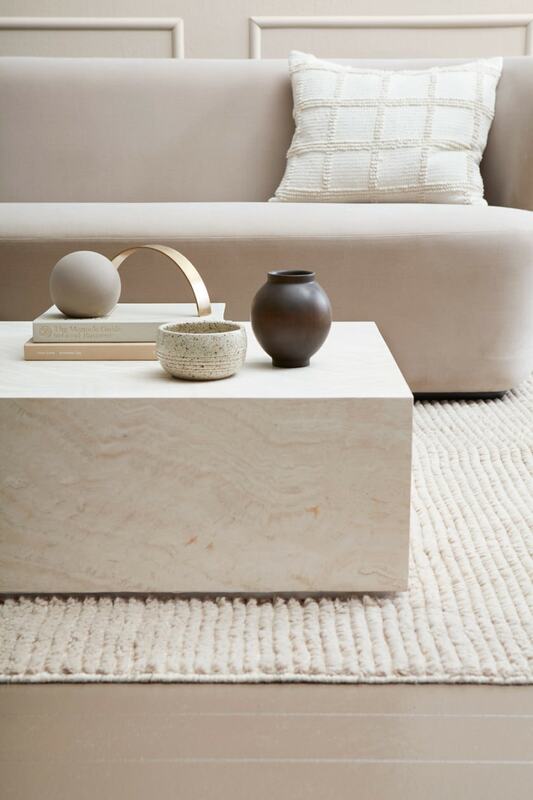 They’re offset by the clean lines of the travertine coffee table, which blends in beautifully and introduces additional texture. Sculptural extras in wood, ceramic and brass form elegant finishing touches. BACKDROP Front wall and skirting in Dulux Marton; rear wall and skirting in Dulux Haast Half; floor in Dulux Knuckle Point; plinth in Dulux Southern Alps, dulux.co.nz. MAIN IMAGE, FROM FRONT LEFT Malawi rug by Armadillo & Co, from $1895, theivyhouse.co.nz. 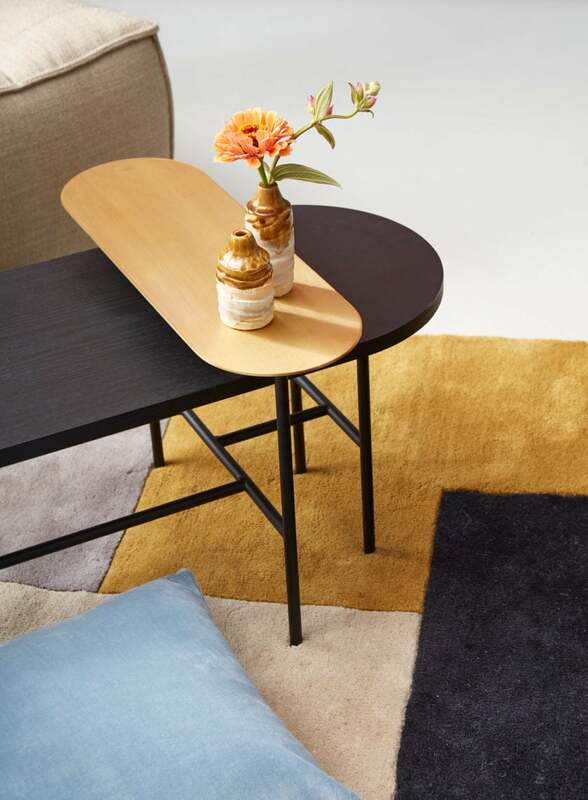 Elle Block coffee table by Globe West, $3196, sorenliv.com. Desk sculptures by Kristina Dam, $285/set of four, capricho.co.nz. Moon Jar vase by Walk in the Park, $253, tessuti.co.nz. 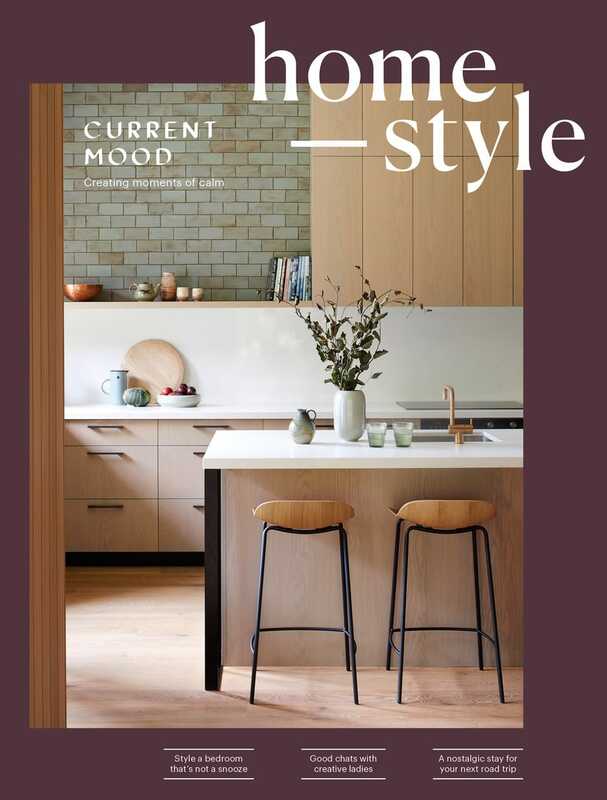 Stay sofa by Gubi, $9580, cultdesign.co.nz. Iggy cushion cover, $60, cittadesign.com. Decoration Circle sculpture by Kristina Dam, $260, capricho.co.nz. 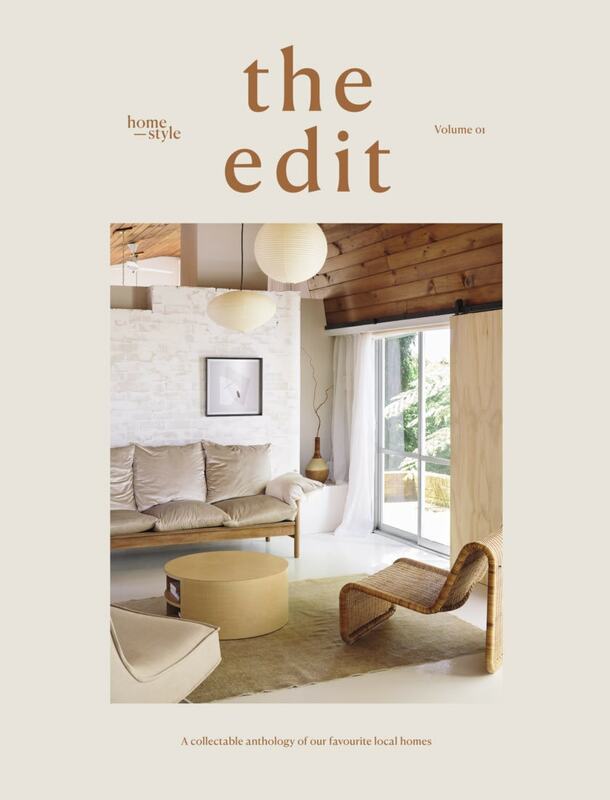 Bestlite BL35 floor lamp by Gubi, $1813, cultdesign.co.nz. Lobby chair by Wendelbo, $1879, dawsonandco.nz. Agara print by Somée, $147, theposterclub.com (frame stylist’s own). Turn side table, $1080, douglasandbec.com. 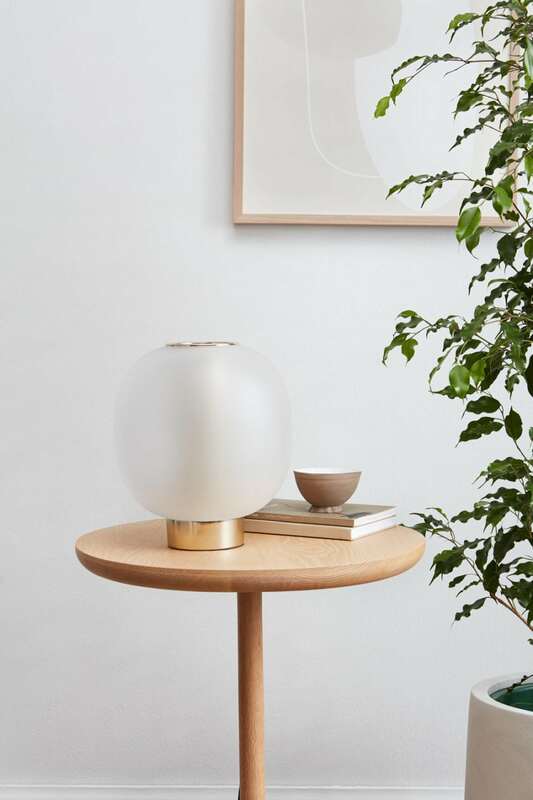 Bloom table lamp by Resident, $640, simonjamesdesign.com. Weeping fig, $115; Bianca Cylinder pot, $92, plantandpot.nz. Bowl by K&R Ceramics and books stylist’s own. TOP DETAIL Bowl by Astier de Villatte, $145, tessuti.co.nz. Books stylist’s own. 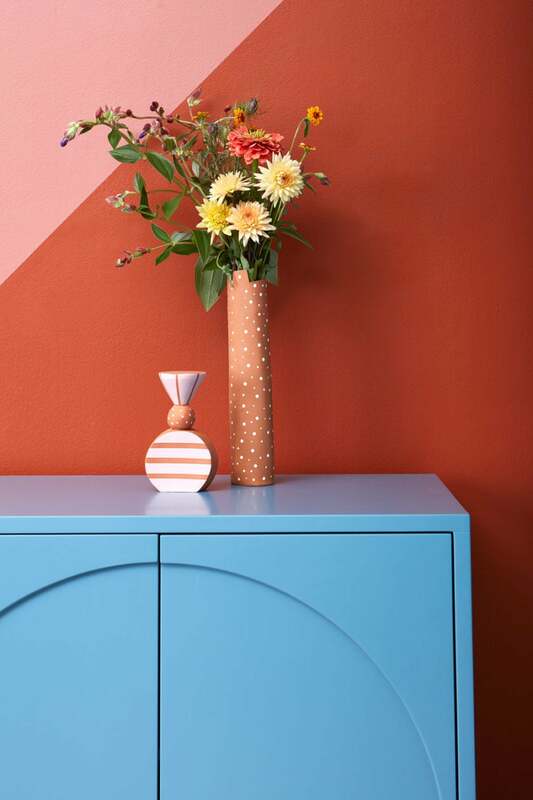 When styling a space with several bold shades, choose colours that share depth and intensity — it’s an exciting way to pick paints that can make even the most unexpected combination work harmoniously. Here, the furnishings, homeware and artwork echo the paint, creating balance and stopping any one colour from dominating. Gold is used as an accent to highlight key pieces and lighten things up. 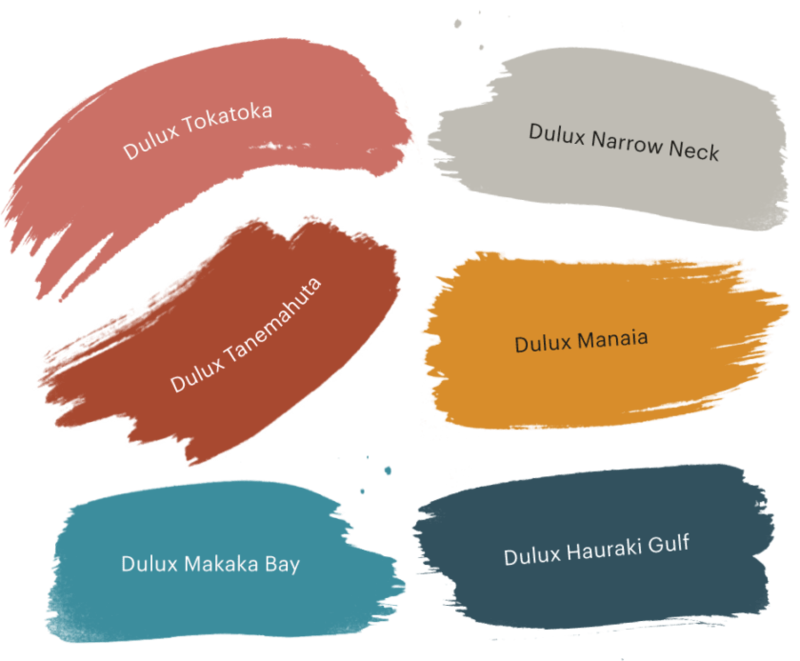 BACKDROP Walls in (left to right) Dulux Tokatoka, Dulux Tanemahuta and Dulux Makaka Bay; floor in Dulux Narrow Neck, dulux.co.nz. MAIN IMAGE, FROM FRONT LEFT Arguto rug, from $795, stacksfurniture.co.nz. JH7 Palette table by &tradition, $3639, dawsonandco.nz. Ceramics by Bronwyn Mason, POA, @juneblune. Frederick sofa, $3400, achomestore.co.nz. Paint cushion by Tom Dixon, $175, ecc.co.nz. Grid wool throw, $249; Cotton Velvet cushion cover, $50, cittadesign.com. Bangalow palm, $65, plantandpot.nz. Auburn Gauze linen fabric (used as curtain), $56/m, marthas.co.nz. 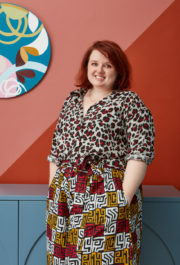 Archie buffet, $3701, sorenliv.com. Little Ripper artwork by Annie Sandano, $1200, seedgallery.co.nz. Ceramic vases, POA, formantics.co.nz. Molly floor lamp by Tooy, $2170, ecc.co.nz. Otto chair, $1845, timwebberdesign.com. Buy Dulux sample pots or order free large colour swatches online at dulux.co.nz; visit the paint counter at Bunnings Warehouse or Guthrie Bowron to purchase your Dulux paint; and see more inspiration from Michelle and Evie at dulux.co.nz/inspiration.